Violynne Vivant lives on the planet Lindos. Her parents, both professors disappear while working at an archaeological dig. Violynne is left in the care of her Aunt Madelyn and the butler Einhart. Things go along as usual until one night someone breaks into their house. Their crescent shaped house sits on the shores of Lake Sere. It was designed to prevent intruders from getting in. The only way this could have happened is if Arbiter, the ruler made it happen. Now he wants Violynne, but why? Violynne suddenly realizes her aunt and butler are not exactly who they have portrayed. Now she must try to find out what really happened to her parents since her aunt has been arrested and her butler has disappeared, and she is running out of time. This was a really great book. It is set on another planet and involves several different alien species. It has all of the high tech gadgets anyone could want like a house that performs to your commands, memory balls and that is just two of them. I think anyone who likes science fiction will love this book. It is definitely a great addition to my shelves at school. yall know any thing bout dis book? It was an excellent book. Great not only for middle schoolers but anyone who likes science fiction. So mysterious! I hated books. 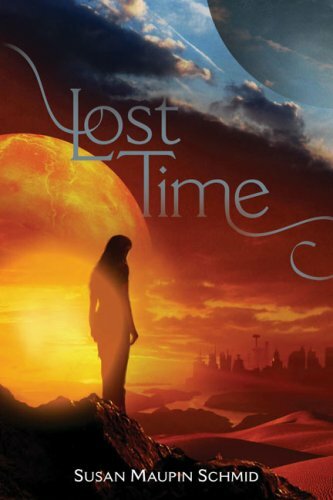 Then I read Lost Time and loved it!best book ever. the plot is amazing!